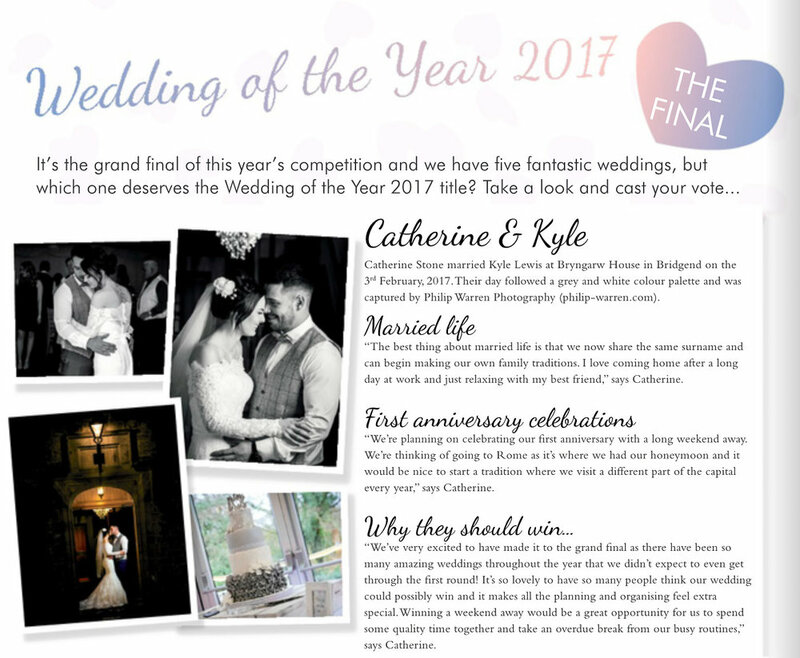 I've mentioned Cath and Kyle's wedding at Bryngarw House in Bridgend a few times on the blog now, especially tracking their journey through the Wedding of the Year competition in Your South Wales Wedding magazine. So now its official, they are in the final and need your votes people! Whilst there's nothing in it for me apart from getting credited for the photos, it would be awesome to get this lovely couple an cool present to celebrate their big day. So please hit the link below and give them a vote. Tell your friends too! P.S. I've linked to the slideshows of their wedding which i've previously posted if you missed them first time round.